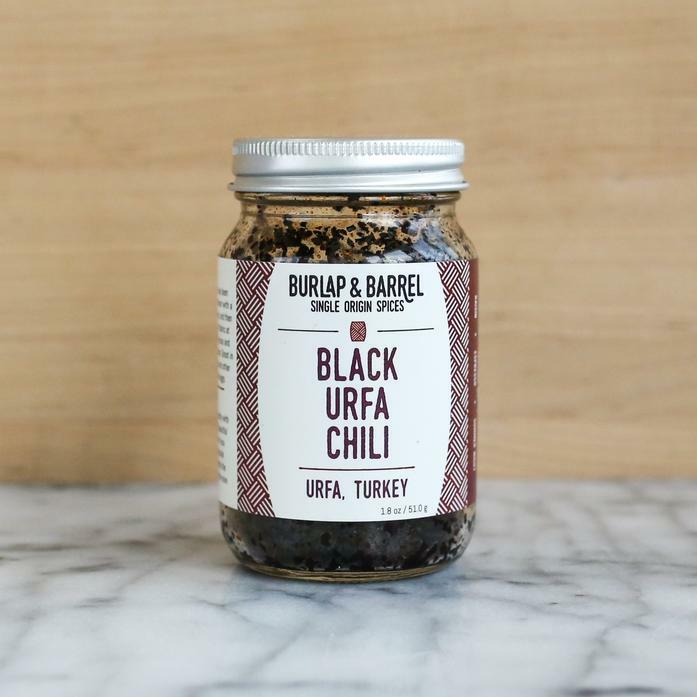 Our black chili comes from Urfa, Turkey, where it has been grown and cured for centuries. It has a rich, malty flavor with a lingering burn. Great in stews, tomato sauces, salad dressings, brownies and other desserts, or just sprinkled over fluffy scrambled eggs. Each order contains one 1.8 oz jar.